ST. GEORGE — A St. George man who was transported to the hospital Friday for injuries sustained during a structure fire on Tabernacle Street in St. George has been arrested for arson. At approximately 4:30 p.m. Friday, officials responded to the 600 East block of Tabernacle Street on a reported structure fire. 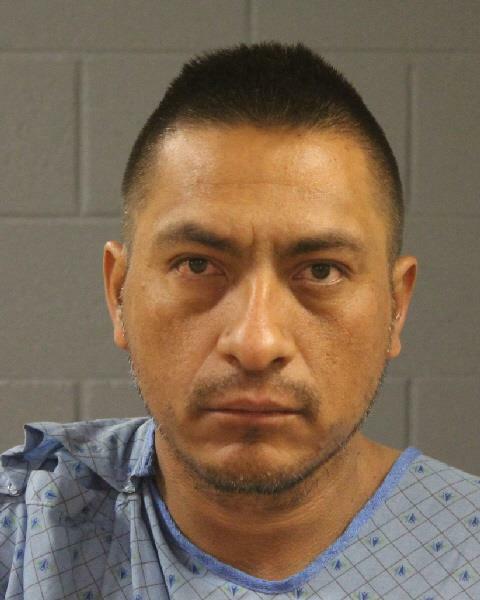 Two witnesses reportedly saw 36-year-old Benjamin Solis-Rivera covered in blood and leaving the burning building, according to a probable cause statement filed by the St. George Police Department in support of the arrest. Solis-Rivera was transported to Dixie Regional Medical Center in St. George to be treated for injuries sustained during the fire. After reading him his rights, police questioned Solis-Rivera about the incident. When the fire became too hot for Solis-Rivera to handle, he told police he broke a window through which he escaped the burning building, the report stated. The fire damage exceeded $5,000, according to the statement of probable cause. While the building was listed as unoccupied, it appeared to be used for transient purposes, St. George Fire Chief Robert Stoker said, adding that clothing and debris were scattered on the floor. After being medically cleared at the hospital, Solis-Rivera was arrested and booked into the Washington County Purgatory Correctional Facility. Since the damage to the property exceeded $5,000, Solis-Rivera was charged with second-degree felony arson along with third-degree felony burglary for entering the building unlawfully. Solis-Rivera is expected to make his initial court appearance Monday afternoon before 5th District Judge Jeffrey Wilcox.